Preheat the oven to 350F. In a medium-sized bowl, combine flour, baking powder, salt, melted butter, and sour cream. Try not to over-mix. 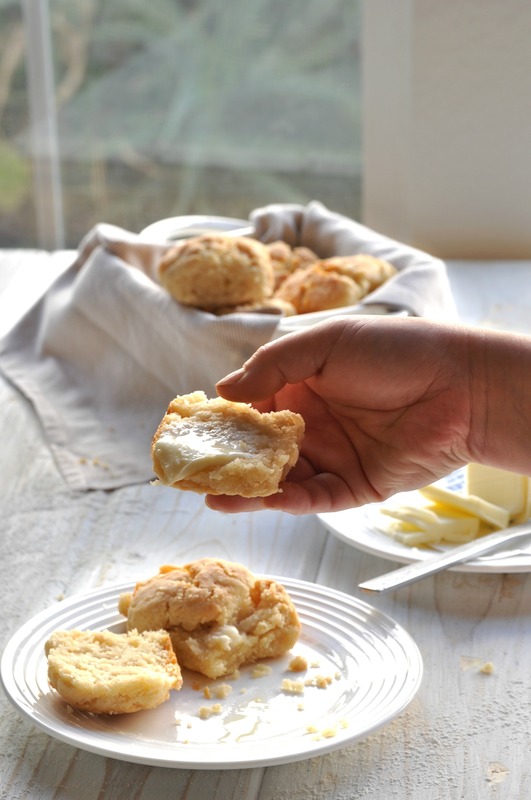 With well-floured hands, form the dough into 9 slightly-larger-than-golf-ball-sized biscuits. Lightly flour them and place them in an 8x8 inch baking pan. Bake for 40-50 minutes on the middle rack of your oven. Serve hot with pads of glorious butter! 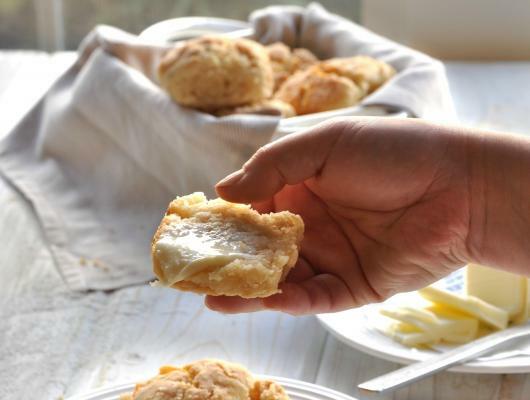 While your hungry friends and family vulture in the kitchen, pass around these fluffy buttery biscuits to stave them off!